guide us. A member of the team from architects Foster + Partners will discuss the design of the building and in particular conduct a brief tour of the exterior to discuss the facades incorporating stone. Adrian Paye, whose company was responsible for the reconstruction of the Mithraeum (also known as the Temple of Mithras) will talk about the project from his perspective amidst the new display of the Temple. There is also a new installation in the Bloomberg Space opening a few days before our visit by artist Claudia Weissman. 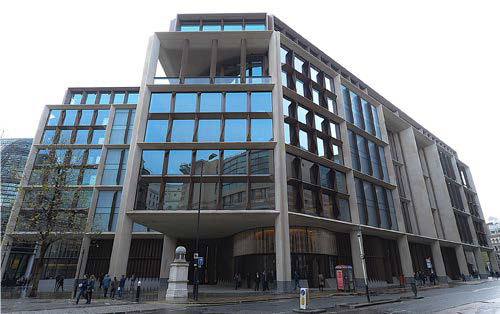 The evening will commence at 5pm and arrival -at the East end of the new building (on Walbrook) -will be from 4.45. It is anticipated that the two presentations will be complete by 6pm, following which the assembled company will repair to a local hostelry and enjoy a drink or two.